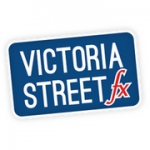 Based in the heart of Victoria, London, SW1E, Victoria Street FX is offers the most competitive and the best exchange rates for all major currencies in the town. Our retail store is located just a few minutes' walk away from both the Victoria Coach Station and the Victoria Railway Station and two stores away from the Circle and District Line exit on Victoria Street. With a very large amount of footfall of tourists around the world, retail and corporate clients we strive to offer the best exchange rates possible and a guaranteed preferential rates for our customers with an account with us. Foreign and cross currency exchange is a live and active market. In order to facilitate our customers we provide the best possible rates here. Please note a preferential rate would be given to customers who hold an account with us. Please note there is NO Commission, NO Handling Fee, NO Admin Fee and ABSOLUTELY NO OTHER HIDDEN FEES AT ALL.